Comments Off on The need of ADR and ODR system in India with a comparative analysis with The United Kingdom. ADR is a mechanism which is used widely in UK to resolve disputes and if it is implemented in India on a large scale the it can help reduce the burden on courts in India. In India more than 20 million cases are pending in the courts of India and the use of ADR can reduce the burden on courts. In the UK under the CPR the ADR is made an obligatory mechanism to be used to resolve the dispute at the first step between the parties. The Solicitor regulatory code makes the solicitors to do the needful by informing the client about the various methods of ADR and to use them to resolve their conflict through an alternative means rather than litigation. However, India lacks the statutory authority relating to ADR. There are less training centres for the lawyers to undergo mediation training whereas in UK the legal framework encourages the ADR mechanism. The ADR system in UK is the one which encourages ADR in every dispute and makes sure that first resort to resolving disputes should be ADR. The courts in UK are not overburdened with the backlog of cases and there is speedy justice and disputes are resolved cheaply whereas in India there has been a backlog of cases and speedy justice is not possible. Hence, the system of ADR adopted by UK should be used in India so that ADR can be implemented on a large scale and burden on courts can be reduced. Chapter 5 – India and UK: What the comparison shows? A dispute has been and will be a recurring part of socio-legalexistence of humans. Seen as result of varied and most often conflicting individual rights, duties, perspectives, interests, understanding and fears, these disputes have played a significant role in the development of society and law in particular. The part purpose of system of justice, and rightly so, has been for the settlement of dispute amongst individuals, amongst states and between individual with states. These conflicts, on principle, arise out of disagreements on the point of law or fact, varying from circumstance to circumstance. Sometimes we ought to run into disagreement with other individuals, when we have been deprived of justice, or when some individual hurt us, a dispute arises, which is dealt by different individuals in different manner. Individuals disputes are time consuming, emotionally draining, and they make us contact with those peoples who might not be in our preferred lists, this might consume our time and deviate us from the work we ought to be doing. For a person under dispute the common goal becomes the resolution of the dispute. A society also sees the dispute as a costly affair. In terms of society a dispute should be avoided if possible, if cannot then it should be resolved quickly. But if all the disputes are avoided then the society would be suppressed and wrongs would happen in the society and injustice would prevail. At the macro- level, the world is full of injustice and the abuse of power takes place but disputes arising can lead us to the path of change. At the macro level where the disputes can be a part of positive social change but at micro- level when a person enters into dispute within the household, or with the neighborhood the disputes can be burdensome and a costly affair. ADR stands for Alternative Dispute Resolution, a system which is now gaining importance as a way to resolve conflicts in the society. This system is parallel to the court system prevailing in the world. It sometimes involved the court system but its emphasis is on the parties who are in dispute and the method they choose for resolving the dispute. ADR has gained much popularity over the years and it is preferred by most people around the world in resolving their disputes. This system has been in practice informally in many parts of the world but now it has been legalized by many countries around the world, as there are many advantages of this system which we will discuss in detail further in the following chapters. The purpose of this dissertation is to understand the basic mechanism of Alternative Dispute Resolution in India and UK, and to understand the modern working of ADR and ODR mechanisms in UK. Moreover, to lay the emphasis as to how the present legal system of India can be amended in order to reduce the burden of courts by utilizing the mechanisms and legal statutes in UK. The aim of this study is to analyze the effectiveness of the ADR system in India and comparing the legality of the existing statutes with comparison with the United Kingdom. This research is focused on Indian legality and how the burden on the courts can be reduced through ADR system and to make suggestions to build up an effective and efficient ADR mechanism in India. How will ADR reduce the burden on the courts in India? Is ADR a speedy and effective method of resolving disputes in a country like India? Does absence of full-fledged Bar for ADR prevented ADR proceedings to be carried on smoothly? Does the Arbitration and Conciliation Act, 1996 is and effective dispute resolution statue? Will the enforcement of ADR act in India be of help like in U.K.? If yes, what new legal statues need to be enforced in India. The Bushmen is a society of hunter- gatherers living in Namibia and Botswana. They have many disputes arising out of food, land and mates. The disputes are solved by the society as a whole where all the men and all the women sit down and listen to both sides and solve the dispute. This process involves mediation and consensus building. There are many places like The Kpelle of Central Liberia where family disputes which are small in nature are resolved through a moot court system. The Abkhazian of the Caucasus Mountains in the former Soviet Union, the disputes are resolved through mediators, where the elder members of the family act as mediators. The Yoruba of Nigeria resolve disputes by putting it forward to the mogaji, the lineage head and the baale, an elderly head of the district. It is a mark of shame for those families who resort to the court for resolving disputes. These are the societies which resort to dispute settlement through traditional ways which are now coined under Alternative Dispute Resolution. It is a decision making process, in which the parties are assisted by a third person who attempts to resolve the dispute and assist the parties to reach an outcome which is beneficial for both the parties. The process in involved in making the situation clear between the parties, help them establish communication, identify the needs and interests of the parties and assist the parties in decision making by providing a model of solution to the dispute. However, mediation is used for defining the dispute this process is referred to as scoping, which helps in identifying the problem and then focus on resolving it. This method of ADR is a voluntary method, the parties resort to mediation with consensus and they have a choice to choose the mediator. Mediator is a neutral, independent person who acts as a mediator for the dispute. The decision that is reached has the consent by both the parties and is made into an agreement which is legally binding. It is a method in which a third party is involved in resolving the dispute. The two parties to the dispute try to communicate with each other through different means, so that there is some medium of communication which takes place. In the communication the parties can mention their goals they want to achieve by having a communication and then they can decide the means of achieving those goals. The parties have to look into different options available to resolve their dispute and achieve whatever is desired. Moreover, this mechanism involves a third person who is not a party to the dispute but who acts as an adjudicator in the matter, who listens to the arguments of both the parties and give a decision which is favorable to both. The adjudicator has legitimate powers to decide the case. The adjudicator is appointed by the agreement of both the parties and the decision made by the adjudicator is not binding on the parties. The negotiation mechanism takes place only when both the parties have agreed to resolve the dispute through ADR method rather than litigation. However, negotiation can also be used if there is a multi party dispute over an issue. After the decision has been given and both the parties agree to it then an agreement is made which is duly signed by both the parties which is enforceable in the court of law. The process of negotiation is a valuable form of ADR as it helps the parties to communicate and keep their views on the dispute and the goal of resolving the dispute is the primary concern rather than whose mistake is in the dispute. The word ODR stands for Online Dispute Resolution. The use of internet increased drastically in 1990s. In the year 1998 National Center for Technology and Dispute Resolution founded by the University of Massachusetts, where professors of legal studies Ethan Katsh and Janet and Rifkin with a grant from Hewlett Foundation started their research. It was clear that online activities had begun on drastic phase and being a highly creative and active space it was clear that it won’t be harmonious for a long time. After the center was created eBay asked the center to conduct a pilot project for the disputes online between the buyer and the seller, to know whether they can be mediated or not. The results were positive and in two weeks time 150 disputes were mediated. This led to the development of online dispute resolution system. Online disputes started with the result of increase in the usage of internet and e-commerce transactions. This led to the creation of online portal for the resolution of disputes which started in United Kingdom for the first time. Cyberspace is a place of new ideas and innovations which will help us ease our work in the modern world, where people can participate in the new marketplace. It will help in building bonds, exchange and encounter new things and work together in new fashioned way. This space will lead us to an expansion of economic culture, innovations, new ideas and restrains in the cyberspace are less then the physical world. But these beneficial things also lead us to an expansion of disputes occurring online. When people will interact, share their opinions, participate, there would be conflict of interests and which would lead to disputes. The modern day World Wide Web has developed legal statues relating to copyright, privacy, but it also creates an emergence to form a statutory regulation for disputes which would be initiated online. In the last few years the disputes arising online have been increased at a drastic phrase and using informal means to resolve the dispute is not appreciated. The need arises when such disputes arise in a large scale then for governing the disputes or resolving them are there sufficient means and legal statues and governing bodies for such disputes. There has been an increase in the population of people who are using the cyberspace to trade, engage in relations, share views, buy products and such disputes cannot be resorted to ongoing legal statues. The disputes in cyberspace will continue to increase, as the interactions taking place in the cyberspace are broadening. The approach to conflict resolution is also important as it depends upon what the context of the conflict is and how it can be addressed. In the virtual world, people can enter and participate no matter where we are, who we are and this is the reason that creative and commercial activities are increasing in cyberspace as the hindrances in the real world are overcome with the virtual world. The United Nations Commission on International Trade Law (UNCITRAL) has helped in the development of ODR. It lays down the relevant documents, links, reports related to national and international schemes. It has laid down the principles of use of online ADR. Another body is the National centre for Technology and Dispute Resolution which was founded in 1998. The ODR has grown over the least decade and its focus has been on resolving the disputes which occur in the e-commerce market. The ODR has grown up drastically and is providing all the ADR facilities online, so that a person can resolve his dispute by sitting at their home. It is helping the consumers to trust the e-commerce business and indulge into it and the disputes which are being created through e-commerce system are also being resolved online. This is the new phase of legal framework in the world where the disputes are being resolved online and through and alternative means not through litigation. The ADR system was used in the past as discussed before but it was not legally recognized in any legal statute. But with the growing burden on the court system in the world the need to an alternative system to resolve dispute was high in demand. So it led to the establishment of alternative dispute resolution mechanism around the world. The need arose of this mechanism as ADR mechanism is a faster and efficient method of resolving disputes. Analyzing Blackstones, Rudolf observes that the common law courts also find this method to be speedy and capable of resolving dispute in many cases. This method is a traditional method used to resolve disputes, and in the views of Blackstone if both the parties agree to resolve the dispute through ADR then it should be encouraged as it is efficient and effective than the common law system. Moreover, in seventeenth and eighteenth century arbitration was used as a common tool for resolving disputes in England. The people were frustrated of adhering to court system to resolve disputes. Also, as the record study by Sharpe concluded that those involved in suits were anxious to settle the dispute outside the court. The increase in the number of cases as in California saw an increase of 45% during 1974 to 1985. Likewise, it took thirty-six months to get a trial in Supreme Court of Los Angeles where there were 38,524 cases pending. It also led to the increase in the state expenditures as to pay the judicial positions in the court. This is the root cause as to the need of an alternative system being adopted by nation where speedy trial and access to justice can be accessed efficiently, effectively and easily. Hence, the ADR mechanism has substantially grown over few years and the need is to establish such mechanism so that the people have an opportunity to seek redressal from an alternative means which is speedy and less expensive. The ADR system has grown in several nations around the world in over few years. This mechanism of resolving disputes is effectively cheaper and faster. It is efficient in settling disputes, providing greater access to justice, a voluntary system and involves local people. In ADR the situation is more of a win win solution then on who is right and wrong. The ADR mechanism is still facing challenges whether to incorporate ADR methods as a legal statute. In the case of ODR the mechanism is a very useful one but it is not being used by the people so commonly as less people are aware about it. Moreover, it is not available in every country, also the people ought to have knowledge about the process of using the software and indulging into online activities of registering the complain and then into communication with a third person who will offer a solution to the dispute or try to resolve the dispute. But both the mechanisms are growing and those who know about them are resorting to them as a means to get speedy justice and cheap resolution of their dispute. To start with ADR in India, it is quiet evident that directstatutory and regulatory framework is in place presently. However, in recent times of decades there has been a significant development specially in the past decade which were pulled and pushed by a common demand and desire to use ADR as a tool of dispute resolution. Around the world, demand has been crucially based upon the rising culture of settlement, particularly out of court. The whole idea has arguablybeen based upon the present lack of infrastructure in the judicial adjudication, and ineffective administrative structure to compensate the effects primarily inclined towards the negative side. Some phrases and realization of ADR can be seen in the family law system and labor law system. The most prominent formal framework for ADR has been provided by the supreme court in the case of Salem Bar Association v Union of India.Further the Government of India, law commission has proposed several recommendation in its report ‘Need for Justice-dispensation through ADR etc’.Lastly India has a great opportunity and a golden chance to converge its ADR system to the foundation principles dispute resolution all around the world. As observed by Mulla, antiquated India started its quest for laws since Vedic times around 4000 to 1000 years B.C., it is conceivable that a portion of the Vedic songs were made at a period sooner than 4000 B.C. The early Aryans were extremely lively and unsophisticated individuals loaded with satisfaction forever and had behind them times of acculturated presence and thought. They principally conjured the unwritten law of perfect shrewdness, reason and reasonability, which as per them administered paradise and earth. This was one of the principal starting rationalities of intercession – Wisdom, Reason and Prudence, which beginning logic is even now honed in western nations. Towards the end of the Vedic age, philosophical and legitimate verbal confrontations were carried on with the end goal of evoking truth, in congregations and parishads, which are currently portrayed as gatherings. The time of Dharma Shastra’s took after the Vedic age, amid which period educational law specialists built up the rationality of fundamental laws. Their learned talks perceived existing utilizations and traditions of various groups, which included determination of question by non-ill-disposed indigenous techniques. One illustration is the tribunal propounded and set up by a splendid researcher Yagnavalkya, known as KULA, which resolve the disputesbetween individuals, family, group, tribes. The times of Yagnavalkya witnessed a phenomenal development and advancement of exchange, industry and trade and the Indian dealers are said to have cruised the seven oceans, sowing the seeds of International Commerce. These illustrations help in determining the old Indian law and different ADR methods that were used in historic times to resolve disputes. ADR is a system of dispute resolution which is alternative to the usual and common judicial method. ADR was established by the State. The concept of parties to a dispute settling their dispute in a binding manner by reference to a person or persons of their choice or private tribunals was well known to ancient and medieval India. Appeals were also often provided against the decisions of such persons or tribunals to the courts of judges appointed by the king and ultimately to the king himself. However, the law of arbitrations owes its elaboration to the British rule in India, the series of regulations framed by the East India Company or the British Government incorporated Bengal Regulation of 1772, Civil Procedure Codes enacted in 1859,1877 and 1882. These regulations gave the power to the people to deal with the cases of arbitration without the intervention of the court. Arbitration without the intervention of the court. Arbitration with the intervention of the court where there is no suit pending. The ADR methods in India were common but not documented officially or did not hold any legal authority. Example The Panchayat system in which a group of five people were elected by the people of the particular village and in case of any dispute the case was referred to the Panchayat and the decision by the Panchayat was considered to be final. Arbitration acts were enacted to resolve disputes in the past. Also, many International Conventions came into force of which India became a part. The Geneva Protocol on Arbitration Clauses, 1923, came into force on 28th July, 1924.The Geneva Convention on the Execution of Foreign Arbitral Awards, 1927, came into force on 25th July, 1929. India became a party to both the Protocol and the Convention on 23rd October, 1937. For giving effect to the obligations, India enacted the Arbitration (Protocol And Convention) Act, 1937. India also became a party to the New York Convention on the Recognition and Enforcement of Foreign Arbitral Awards, 1958 in the year 1960. For giving effect to the obligations under this convention, India enacted the Foreign Awards (Recognition and Enforcement) Act, 1961.Thus prior to the commencement of the Arbitration and Conciliation Act, 1996,the law of arbitration in India was contained in three enactments: the 1937 Act, the 1940 Act, the 1961 Act. The act consolidates and amends the laws relating to arbitration in India. There are about twenty-five million cases pending in different courts in India. The subject matter of arrears of cases in courts had engaged the attention of various Commissions and Committees in India. The arrears committee knows as the Malimath Committee, constituted by the Government of India on the recommendations of the Chief Justices conference made a number of recommendations in a report submitted in 1990. Similarly, Law Commission of India submitted as many as 16 reports containing recommendations on various aspects of the frightful problem of mounting arrears of cases in courts. The Malimath Committee as also the Law Commission had then recommended a number of alternative modes such as arbitration, conciliation, and mediation for dispute resolution. On 4th December, 1993, a meeting of the Chief Ministers and Chief Justices was held under the chairmanship of the Prime Minister of India to evolve a strategy for dealing with the congestion of cases in the courts. The meeting adopted a resolution that sets forth ways and means to deal with the arrears problems as fast as possible. While dealing with arrears of cases in courts and tribunals, the resolution also recommended that a number of disputes lent themselves to resolution by alternative means such as arbitration, mediation and negotiation. ADR was considered as as crucial part of the legal system designed to meet the needs of consumers of justice, especially in the context of recent reforms in the economic sector. The Government felt the need of change in the system so they introduced the Arbitration and Conciliation Act 1996, but within recent years it had it drawbacks and it could not resolve the problem of pending cases in India. The law of ADR in India has not been enacted, but the courts recognize ADR in the field of Arbitration. The first act passed was the Indian Arbitration Act, 1940 but the act was of not much benefit. The act did not include any provision to resolve any dispute between an Indian and non-Indian companies and moreover there was a delay in the settlement of disputes. In such a crisis, India has undertaken many reforms and a new act Arbitration and Conciliation Act 1996 was enacted to remove such drawback. India also adopted the United Nations Commission on International Trade Law, in order to minimize the courts intervention in arbitration process but it still lacks the main forms of ADR. The concept of conciliation in India was recognized first time under section 4 of the Industrial Disputes Act, 1947in which the conciliation officers were charged with the duty to promote mediation for settling the disputes. The first training of the mediators was held in the year 2000 by American trainer sent by the Institute for the study and Development of Legal Systems(ISDLS). There has been a committee constituted i.e. Mediation and Conciliation Project Committee(MCPC). This committee is involved in framing new policies relating to mediation in India. The Arbitration and Conciliation Act, 1996 also contains provision relating to conciliation in contractual matters arising out of legal relationship. Out of the ADR methods which are being used, arbitration and conciliation have received legislative recognition and the parties in their commercial contacts invariably insert an arbitration clause to refer their dispute or differences to arbitral tribunal for settlement. In the year 1999, the Indian Parliament passed the Civil Procedure Code amendment by inserting section 89.The section 89 A Code of Civil Procedure, 1908(Act No. V of 1908), allows parties to resolve to dispute through Mediation. Its states as follows: ‘Except in a suit under the [Artha Rin Adalat Ain, 2003 (Act No. 8 of 2003)], after filing of written statement, if all the contesting parties are in attendance in the Court in person or by their respective pleaders, [the Court shall], by adjourning the hearing, mediate in order to settle the dispute or disputes in the suit, or refer the dispute or disputes in the suit to the engaged pleaders of the parties, or to the party or parties, where no pleader or pleaders have been engaged, or to a mediator from the panel as may be prepared by the District Judge under sub-section (10), for undertaking efforts for settlement through mediation’. Judicial settlement is a confidential form of facilitative mediation performed by a Judge other than the trial Judges to whom the case is assigned for disposal. The Settlement Judge serves as a facilitator to create a conducive atmosphere for negotiations among the disputant parties. First he holds session with each party separately and offers an objective assessment of the case and suggests settlement options. Thereafter he holds joint sitting with the parties to dispute and tries to make them agree for a consensual settlement. In India the parliament has enacted the Arbitration and Conciliation Act, 1996 with a view to promote arbitration but it does not includes mediation and negotiation. It includesconciliation in Part III of the Act. The culture of ADR has not been included in the Bar, the bench and the Arbitration community. With the phrase of time there has been an immense increase in the number of cases in the court and this has overburdened the courts. The cases which can be solved within a period of few months, last for years. The method of ADR is present in the Civil Procedure Code (CPC) Act, 1999 in the section 89. In modern India the system of conciliation prevails under the Industrial Disputes Act 1947 which is concerned with industrial disputes. Under this act a Board of Conciliation was constituted headed by the conciliation officer which is appointed by the Government. If a dispute arises under the I.D. Act, and the disputed parties i.e. the employer and the workmen agree to refer the dispute to arbitration, both parties can refer to arbitration under Section 10A of the I.D. Act. A copy of the agreement is forwarded to the conciliation officer under section 10A(3)of the I.D. Act. The duty of the conciliation officer should settle the dispute through conciliation in a fair and amicable manner under section 12(2)if the I.D. Act. The conciliation is a fast process as under section 12(6)of the I.D. Act, the report of the conciliation proceedings should be submitted to the government within fourteen days or shorter period as fixed by the government. Under section 13(5) when a dispute is referred to a board, whether the dispute is resolved or it is not resolved the board has a time period of two months to submit its report to the government. The courts also have their duties to follow under section 15of the I.D. Act. It has to submit the report to the government whenever a matter is reported to Labor Court, Tribunal or National tribunal. The award of settlement in the course of conciliation is binding on the parties to the agreement under section 18of the I.D. Act. The proceedings under the board and by the conciliation officer can be kept confidential, if the firm, person, company or trade union has requested in writing under section 21 of the I.D. Act. Family law is the another area of law where ADR has been recognized in India. Under section 5 of the Family Courts Act, 1984 the Government is required to associated with the social welfare agencies to resolve a family dispute and reach a peaceful settlement by way for negotiation. The Government should appoint counsellors so that mediation process can be carried out smoothly in family disputed under section 6of the F.C. Act 1984. The family courts should take effective steps in the settlement of disputes and may adjourn the litigation period as it may deem fit to effect such settlement under section 9of the F.C. Act. The F.C. Act, 1984 was established on the basis to promote conciliation in family disputes and provide speedy settlement of disputes. The other statue which gives importance to ADR mechanism is the Legal Services Authority Act, 1987. This act has given recognition to a new system of settlement in India i.e. through Lok Adalats. The Lok Adalats are to be conducted by State Authority under section 7, by District Authority under section 10, by The Taluka Legal Services Committee under section 11B of the Act. Under section 20(1)(i)(b), if any party to the dispute makes an application to the court for referring the case to the Lok Adalat and if the court sees that there are chances of settlement and the court finds that the Lok Adalat has the cognizance, then it can refer the case to the Lok Adalat. The decree passed by the court is deemed to be a decree of a civil court under section 21(1). The award made by the court shall be binding on both the parties of the court and an appeal against the award shall not lie to any court under section 21(2). The Lok Adalat is a court of the people where they can settle disputes but has the same powers as vested in the Civil Courts under the Code of Civil Procedure 1908 (C.P.C.) as mentioned in section 22(1). It is the duty of the Permanent Lok Adalat to help the parties during conciliation proceedings to reach an amicable settlement under section 22(C)(5). The Permanenet Lok Adalat during the proceedings if thinks that there is a solution to the dispute then it should give their observations to the parties and incase the parties agree to settle then an award is passed by the Permanent Lok Adalat as mentioned under section 22 (C)(7), and if the parties fail to reach a settlement then the Permanent Lok Adalat shall decide the dispute under section 22(C)(8). The Permanent Lok Adalat while deciding a dispute should decide the dispute on the principals of natural justice, objectivity, fair play, equity and shall not be bound by the C.P.C.,1908 and the Indian Evidence Act, 1872. The Lok Adalats have become famous and many people resort to them to solve disputes as the functioning is quick, cheap and no appeal lies against the decree awarded by them. India is witnessing the key change in its economy. It has been attracting FDI (Foreign Direct Investment) around the world. But in the world of e-commerce it lacks the main criteria of resolving disputes online. However, it has an Arbitration and Conciliation Act 1996 but it does not contains any mode or method related to dispute resolution online. There is not statutory authority or law related to online disposal of cases. It lacks the basic infrastructure and legal module of resolving disputes online. India is already suffering from backlog of cases and millions of cases are pending in the courts of India. There is delay in resolving of disputes and it has become a costly affair to indulge into litigation for disputes smaller in nature. The Act has not been able to bring the desired results as expected. It is now felt that the act should be amended keeping in mind the information and communication technology driven business models. The techno legal centre of excellence for online dispute resolution in India (TLCEODRI) has launched a beta version of ODR platform that can be helpful in resolving disputes online for national and international stakeholders. Moreover, there is a special service created for Online Arbitration or Cyber Arbitration where parties can submit their dispute to the platforms of TLCEODRI. Once you register your dispute then a tribunal will be appointed and would proceed to deal with the dispute. These are things would be soon available on the platform and is under process. However, due to the lack of clear legal statutes in India the e-commerce websites do not follow the laws in India because of which the consumers have to suffer. Henceforth, India lacks the basic ODR platform for resolution of disputes online. It needs to amend its laws as there are no laws relating to ODR in India. The present legal system in India can be seen as a part of colonial legacy. The constitution of India under article 39-APart IV, contains a directive principle which holds that the State will ensure that the legal system operates in a manner so as to promote justice to all and to ensure that no citizen is denied the opportunities of securing justice by reason of economic or any other disability. But the ground reality is that the law hardly reaches the vulnerable sections of the society where majority of the people are illiterate, rustic and rural and are ignorant about existence of their legal rights and remedies. And those who are aware find it difficult to get them translated into reality because of the legal ordeals one has to undergo in the process of litigation. Delay in the administration is not confined to India alone but in India the situation is at its worse state. Malimath Committee was made on Arrears in court which undertook a comprehensive review of the working of the court system, particularly, all aspects of arrears and Law’s delay and made various useful recommendations for reducing litigation and making justice readily accessible to the people at the minimum cost of time and money. This committee underlined the need of alternative dispute resolution mechanism such as mediation, conciliation, arbitration, Lok Adalats etc. as a viable alternative to the conventional Court litigation. These alternative adjudicatory techniques would not only provide cheap and speedy justice to the needy but would go a long way in restoring the confidence of the people and establishing Rule of Law as contemplated by the Constitution of India. As a solution to the problem of over-burdened Courts, a number of tribunals were established in India, some of them being the Industrial Tribunal, Railway Claims Tribunal, The Central and State Administrative Tribunal, Public Service Tribunal, Consumer Forum and so on. Even after the formation of these conjestion and delays in courts persisted unabated thereby defeating the cause of justice.Particularly civil litigation in India is known for pendency of cases flooded by adjournments, revisions, appeals, cross-appeals etc. On an average a civil case takes about 5-8 years for its final disposal and cases are not wanting when civil cases have lingered in the courts for even 15 or 20 years for reason or another. Frequent adjournments on flimsy grounds is perhaps one of the major causes for overburdening of Courts and delay in disposal of suits. “Let us never negotiate out of fear but let us never fear to negotiate.” states John F Kennedy. This notion is the sound foundation of the International Centre for Alternative Dispute Resolution (ICADR).We are a litigious society. It is revealed that a quarter million cases are filed in the courts each year and almost a 100 million in the fifty state courts. That is about one for every person, although many of these deals with relatively minor matters, about 12 million are filed in the major courts. “Litigation has become the nation’s secular religion”, commented a contemporary expert, J.K. Lieberman. However, now the scenario is that the newly built court rooms have remained unused for lack of judges, judicial vacancies not being filled. Plans for new facilities and equipment replacement have been cancelled. Prisons are overcrowded, forcing the early release of inmates. Court employees have suffered massive reduction, payless vacation days, etc. The result is that there is a threat to an independent judiciary in USA.Moreover the situation in India is more adverse as there is increase in number of lawyers and litigants but lack judges and number of courts which has made the litigation process very slow. As litigation becomes slower it leads to litigants spending more amount on the cases to get the disputes resolved early as stated by Gross. Moreover, because of this disproportionate strength of the rival parties, the rich and powerful can litigate easily and get their disputes resolved by paying off and making the opponent loose. The poor does not have enough means and money to litigate the cases so they get the raw end of the stick in legal matters. The lawyers get better result for their clients who pay them more and lawyers do not work as hard as for the proper clients as compared to the rich ones as state Moore. These are the drawbacks of the present legal system in India. There are more problems related to the education system of law in India. Those who are well educated are not willing to join the judicial services due to less money in the profession. There is deficiency of good lawyers in the country and moreover if there are few who will not work for the poor or for the justice system in India. The law students are not educated to the fullest of the laws which prevail in India and law being a field is updated every month and to know the laws the education system must change. It is high time seeing the condition of Indian judiciary where the cases are pending in millions that the lawyers should be educated and the new culture of alternative means of resolving disputes should be created so that people can resolve their disputes through mediation, negotiation, conciliation. There are few centers of mediation in India, one being in New Delhi which are not sufficient means to educate the lawyers and the people. Such centers should be open in each and every district of the state so that the people can get to know about this dispute resolution mechanism and they resort to it. The lawyers should also be given training and information regarding the alternative dispute resolution mechanism so that they can tell the clients when they come that there is an alternative way through which this dispute can be resolved. As of today, practically none is trained in these skills. The emphasis should be given to this system so that it can be available to the people easily. Moreover, professional training of the lawyers is the key to its success and there should be a legal statute made on this so that the people can be made aware about. This mechanism should be headed separately by the Bar Council of India. The lawyers should be interested in resolving dispute through this process. They should make this method effective and convenient so that there is less delay in getting justice and less cost involved. It is the time that the Bar Council of India starts profession courses for the lawyers who would wish to engage themselves in these new procedures so as to make them more efficient to use this mechanism. If such a mechanism is used then it will reduce the burdens on court and help in the resolution of this disputes speedily and cheaply. As seen from the above scenario there is a lot of burden on courts in India and the need of an ADR law is very important. In the year 1996 S.C. of India under the guidance of the then Chief Justice, Mr. A.M. Ahmadi carried an Indo-U.S. joint study. The basis of the study was to find a solution to the problems of delay in justice in the India Judicial System, in which High Court was asked to appoint a team of study to work with the delegates of The Institute for Study and Development of Legal System(ISDLS), an institution based in San Francisco. The team gathered information from every state and then analyzed it and proposed some amendments for the Indian Scenario. Moreover, Mediation has been given a legal sanction but only through courts. Mediation and conciliation centres have been setup in few parts of the country and courts have started referring the matters to such centres. In this mechanism court is the central institution involved for solving disputes. It is felt by the Indian Judicial system that ADR systems under the control, guidance and supervision of the court will have more acceptance and will function smoothly. The mediation process in India is carried out through the committee established by the Supreme Court. The study is being conducted by the National University of Juridical Sciences in Kolkata to study the ADR mechanism. The government is eager to promote ADR mechanism to resolve disputes but the parties to the dispute prefer judicial process as there is not statutory backing to the ADR mechanism. The first act of arbitration was passed in 1698 by the English Parliament, to resolve disputes through arbitration.This act created a way for other ADR methods to be used for resolving disputes. The encouragement by Blackstone on the used of arbitration to resolve disputes was a very popular in England. However, the Woolf Reforms led to the adoption of Civil Procedure Rules 1999. But 2006 saw the introduction and standardization of the ADR mechanism into the UK legal framework. In the CPR it is specifically mentioned ‘the courts take the view that litigation should be a last resort.’ Lord Justice Dayson said in the Appeal decision in Halsey v Milton Keynes General NHS Trust, ‘Mediation often succeeds where previous attempts to settle have failed.’ The role of ADR in civil justice system was highlighted in the Review of Civil Litigation Costs: Final Report by Lord Justice Jackson’s in January 2010. The system of ADR has many advantages in the civil justice system. The growth of ADR has seen the disputes being resolved through mediation, negotiation and conciliation in the UK landscape and the courts are not overburdened with cases. The courts deal with only those cases in which the criteria for the resolution of disputes through the ADR mechanism cannot be achieved. ADR mechanism is used in every filed of UK and is an obligation under the CPR to resort to it if the dispute can be resolved through ADR. Mediation had several initiatives in the United Kingdom in the 1970s. The first field where the mediation was used as a mechanism to resolve dispute is the employment field. There were several acts which were passed over the year which gave the provisions of conciliation, arbitration and mediation. Contracts of Employment Act 1963, Redundancy Payments Act 1965, Industrial Relations Act 1971 and Trade Union and Labour Relations Act 1974 were some of these acts which provided mediation for the first time in UK. Another important place where mediation developed in UK were schools, in the year 1981 Kingston Friend Workshop Group started teaching children the methods of resolving the conflicts peacefully. It also led to the formation of European Network for Conflict Resolution in Education in which interested lawyers used to meet and the development of conflict resolution and mediation skills in schools was their primary aim. Apart from this the Bristol Association for the Care and Resettlement of Offenders in 1972 consider mediation as a tool between the victim and offender where the offender can realise the consequences of their action. This way mediation started penetration different parts of the society in UK and was being used as an effective tool to resolve the conflicts peacefully. The lawyers in London heard about mediation being used in the USA and wanted to use them in commercial mediation in the UK. The Centre for Dispute Resolution was launched in November 1990 with the help of Confederation of British Industry (CBI) and several leading law firms. This made mediation enter into the commercial sector and the companies started using mediation as a toll to resolve their disputes. Moreover, NHS (National Health Services) previously Family Health Service Authorities (abolished in 1996) make available conciliation services to both the parties to a compliant. Another project developed in 1991 was the Elder Mediation Project (EMP), in which the need of elders was taken into consideration. It is linked with community mediation and has volunteers who wants to resolve the conflicts of the people in their old age. Seeing the use of mediation in so many sectors of the UK, the civil justice system went under a reform. The reform was led by the Woolf Report on access to justice which endorsed the use of ADR wherever possible. The Civil Procedure Rules 1999 laid down the uniform procedure code for the courts. However, ADR was not made compulsory but the courts have an obligation to encourage the use of ADR. This is how to ADR came into existence in the legal scenario of the UK. ADR has grown over a period of time and is the being used in UK in every sector and field wherever it is possible. The first step requires the claimants to write to the defendant the claims and send an ADR form in which the claimant should mention the form of ADR suitable and ask the defendant to agree to it. Then, the defendant should reply whether he agrees to the proposal by the claimant or not and if not then he must state the reason or an alternative method of ADR. If the parties resort to litigation, then they have to provide evidence to the court that they have considered alternative means to resolve the dispute. If the refusal of ADR is not with appropriate reasons then it may attract criticism from the court. In UK the parties should consider ADR mechanism from the first step to resolve the dispute. The claimant should mention specifically the form of ADR to resolve the dispute. ADR is considered to be the best way to resolve the dispute so the courts and legal framework encourage it to the most but does not make it binding to the parties. Hence, the encouragement has led to resolution of many disputes through the alternative means rather than litigation. The CPR has an overriding objective which the court need to follow as a way to encourage the ADR mechanism. This is how the CPR encourages ADR mechanism to the parties to the dispute so that they are given full chance to understand the nature of dispute and the alternative means to resort their dispute and if they do not resort to the alternative means then the litigation costs and other factors related to it are to be considered. In UK Solicitor’s Professional Conduct has made it obligatory for the solicitors to inform their clients about the alternative means of resolving the dispute. They should inform their clients about the different methods of ADR they can use to resolve their dispute. The Solicitors Code which came into force in 2007, in which the Rule 2.02(1)(b) requires that the solicitor must give the client a clear explanation of the issues involved and the options available to the client. In the United Kingdom, the Mediation Room has the technology to enable all forms to resolve a dispute online. They provide licenses for the use of their software and other necessary tools. They also provide training courses in ODR and mediators from their panel. The ICT has developed many usages in relation to ADR online. Likewise, the UK’s Bar Council has published an article for helping those who want to conduct meetings online. The ODR system has been launched officially on the internet and is being used by the people but it lacks the basic criteria i.e. readily available software for the use and awareness among the people about the ODR system. The United Kingdom does not have any legal statute for ADR mechanism but it has incorporated ADR in the Civil Procedure Rules 1999. It has ADR in the legal regulatory framework and encouragement of ADR at every stage of the dispute is done by the courts. The pre action protocols and the first communication by the claimant to the defendant involves the very basic and crucial step of resorting the dispute through ADR. With the use of ADR at the basic level the people may resort to an alternative means to resolve the dispute and they will be well aware about what an ADR mechanism is and it forms. Moreover, the solicitors and the barristers are also under the code of conduct i.e. they have to make sure that their client has the knowledge about the alternative means and if the client does notsettle’s the case through an alternative means than litigation is the last resort but is costly. 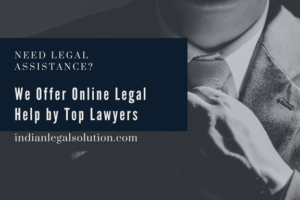 The legal representatives of the client in the courts also have to give an undertaking that they have informed their clients about the alternative procedures to resolve the dispute. However, in between the proceeding if the party deem fit then it may resort to ADR at any time. The court can also stay the proceedings so that the parties resort to alternative means. The whole structure of legal framework in UK encourages ADR to the fullest not as an obligation but as a means to resolve the dispute. India and UK: What the comparison shows? In India the ADR mechanism lacks legal backing, it does not have any legal statute related to ADR and moreover the recognition of ADR under CPC lacks the support of the judiciary and lawyers. The people are unaware about such a mechanism. However, India has Lok Adalat system which is like people’s court in which they can resolve their disputes by way of communication, they need not hire lawyers and they can go and resolve the conflict themselves. But, Lok Adalat is for cases which a very minute in nature and concern lesser amount of money or issues. Lok Adalat also lacks infrastructure, and people are unaware about it. The laws in India though processed but are fragmented, they need to be regularized in the manner so that they can be put into proper use. However, in the case of ODR, India lacks the legal framework to support ODR’s existence. In the United Kingdom under the CPR 1999, the use of ADR may not be mandatory but it is obligatory at the initial step. The claimant when writing a letter to the defendant has to mention the type of form of ADR suitable for resolving the dispute and the defendant if agrees the dispute is resolved through ADR and if not then he can suggest another mode of ADR for resolving the dispute but if he say no then a reason has to be given as to the refusal to ADR. Moreover, the solicitors and the barristers are under the code of conduct to make sure that they inform their client about ADR and they have to confirm it in person in the court if the case goes for litigation. Also, the court looks into the reason for non-acceptance of ADR to resolve the dispute and if the reason is not valid enough it might lead to criticism in the court of law. However, even during the proceedings the party can resort to ADR and the court will put a stay to the proceedings. The system of ADR in UK is very popular and people resort to ADR methods instead of going to courts. The ODR system is well established online and is being used by the people for resolving their disputes online. But, the system is not fully developed to resolve each and every dispute that occurs. The methods and facilities provided by the National Center for Technology and Dispute Resolution is under the framework of ADR regulations, the difference is what ADR provides on paper ODR is trying to provide it through electronic and communications technology. If the development of ODR increases with the same pace, then many disputes of different people sitting in different parts of the world can be resolved online through this Online Dispute Resolution mechanism. In India with comparison with the UK it lacks the legal statute and rules which are incorporated in the UK framework. The encouragement by the UK judiciary and lawyers for the use of ADR is much more obligatory then in India. India lacks the proper mediation centers and legal knowledge of ADR amongst the lawyers. The ODR mechanism is not introduced in India at all whereas in UK the ODR mechanism works under the principles of ADR and resolves disputes online through its various online mediation, negotiation and conciliation facilities available to resolve the disputes online. In India, there is a guide on mediation whereas in the UK the ADR is incorporated in the legal framework and the guidelines to the strict adherence are helpful in promoting ADR to resolve the disputes. The legal education system in UK is much more upgraded as it teaches in the school as to how to mediate the conflict whereas in India the legal study is about the Arbitration and conciliation Act 1996 which is now outdated and needs to be amended and it does not cover’s all the aspects of the ADR. ADR is a cheap mechanism and is not time consuming. It is also free from technical difficulties of litigation. The parties have a feeling that there is no actual winning or losing rather their grievance is resolved and the relationship between the disputed parties comes back to normal. ADR provides us a mechanism to resolve disputes outside the court. As in India ADR systems are not implemented on a crucial basis, but if ADR mechanism is given a legal existence in the legal statutes then the burden on the courts would be reduced. Mediation can be part of the juvenile criminal system and in family matters. It will help the juvenile to rehabilitate and reorganize his life as being a good member of the society. In family disputes the members of the family are well aware about the problems that are prevailing and that can be solved through mediating each other rather then a judge splitting them into parts. In civil cases also mediation can be of great help as petty disputes that are raised in the society can be solved through negotiation and conciliation where both the parties know their best interests and decide over it. The Judicial system and its officers in India have realized that lack of this mechanism in the legal scenario has inherited a lot of pending cases in the courts of India and which are rising daily. So, the Judicial system and the officers should recommend the government to enact a law in regard with the ADR mechanism and the Judicial Officers should adopt different methods of resolving disputes and promote them. They should also make sure that when resorting to such methods or resolving disputes the parties should be given a fair judgement, none of the party to the dispute should feel that the judgement is been forced upon them. In India people always have a habit of avoiding the courts, instead people used unethical means to resolve their disputes which are not acceptable in the society. Justice is not only a human right to fair trial but in some countries right to fair trial within limited time is a part of human rights legislation.This can be initiated by the judiciary by unless and until a infrastructure and an institutional framework is created, the people wouldnot be aware of such a mechanism. In UK there is a system whenever a new bill is to be passed a judicial impact assessment is carried out which provides with the expenditure which is to be incurred when a new bill or an existing statue is to be amended. On 15th June 2008, Justice M. Jagannadha Rao submitted its report on ‘Judicial Impact Assessment’ to the then law minister of Government of India. This system will be helpful in successful implementation of ADR mechanism and other statues which would be enacted or amended in future. The legislature amended the Civil Procedure Code by bringing in section 89 there is lack of trained mediators. The expenses to be incurred on the training of mediators, space to be provided for mediating as in India courts don’t have enough space for their existing work, in cases of family disputes where mediation is practice or in case of Lok adalats, there is not adequate or separate space, if JIA was implemented in India before then all such things could be taken care of. In the cases of Industrial Disputes Act where conciliation is practiced, the conciliation takes place in the office of conciliation officers, or at the place of the management where workers don’t get a fair chance to negotiate. There should be separate place for ADR mechanism to take place and under a fair environment. The High Courts of the states should take into consideration this matter seriously and implement this mechanism and follow the ADR and Mediation Rules, 2003.The lawyers should be aware about it and accept this mechanism. There should be a separate training for mediators so that they can be given full knowledge about how this legal mechanism is better and how will it help the disputed parties and what is the legality of ADR mechanism. By holding workshops, seminars awareness can be spread as to this new system of dispute resolving, so that people in India who avoid courts resort to this mechanism of solving disputes rather using unethical means. The disputants can be made aware about the advantages of ADR and how is it different from the court system. The lawyer who want to practice as a mediator or conciliator or a negotiator should be given a training and different legal course should be introduced so that lawyer willing to practice under ADR mechanism can have adequate knowledge and learn they ways of ADR mechanism. A different field of such counsellors can also be introduced who are not well aware of the legal knowledge but are experts in psychology, sociology which will help in the cases of family disputes. The ICADR situated in Hyderabad provides training to arbitrators and mediators but till now only eleven training sessions have been organized across India. The courts should implement this system and the judicial officers should also be trained so that they can look into the cases and decide which cases are suitable for mediation, negotiation or conciliation and ask the disputants to resolve their dispute through ADR mechanism being speedy and effective. According to Hon’ble Mr. Justice S.B. Sinha, Former Judge, S.C. of India, also suggested all these suggestions in the article ADR: Mechanism and Effective Implementation. The Law Commission had made a recommendation on judicial settlement a type of ADR method, that the court should require the attendance of any party to the suit or proceedings to appear in person with view to arriving at an amicable settlement of dispute between the parties. It is only when the parties fail to get their dispute resolved through any of the alternative dispute resolution methods that the suit could proceed further in the court in which it was filed. The study reveals that ADR mechanism is not of great success. The other ADR methods like Lok Adalats and mediation are gaining importance but mediation lacks legal backing. As discussed above there have been many statutory interventions for laying down the legal framework of ADR in India but they have had not been successful. If ADR mechanism is properly implemented in India it can help in resolving disputes ranging from commercial to civil, family, crimes by juvenile, to intellectual property disputes. The study reveals that ADR mechanism is of great success as in the UK, the ADR being practices has reduced the burden on the courts. The other ADR methods like Lok Adalats and mediation are gaining importance but mediation lacks legal backing in India. As discussed above there have been many statutory interventions for laying down the legal framework of ADR in India but they have had not been successful. If ADR mechanism is to be properly implemented in India it can help in resolving disputes ranging from commercial to civil, family, crimes by juvenile, to intellectual property disputes. In India there is a need for a separate legal body like the Bar Council of India which deals with the ADR system and helps in the implementation of the ADR mechanism in the whole country on the large scale. A separate body will be helpful in implementing ADR mechanism in the country like in UK a normal lawyer cannot practice as a mediator he has to go through the courses available to become a mediator. So, in India a different regulatory body rather than the BCI( Bar Council of India) should be made which looks after the ADR system and registers lawyers for practicing as a mediator. In this case, the lawyers have to study a different course if they want to become mediators or negotiators or conciliators. They will have to gain adequate knowledge about ADR and they will have the code of conduct to encourage ADR to their clients, so that the people will get to know about an alternative means of dispute resolution and many people will want to resolve their conflict through ADR mechanism rather than going for litigation. Moreover, ADR is a cheap and speedy process as compared to litigation. However, the best way to enhance the lawyers in India about the ADR mechanism and to increase their knowledge and skill is by change in the knowledge system. While studying law the students should be taught about the ADR mechanism as they are taught in UK, in school the students of UK are taught about the conflict resolution mediation programme. The students while studying can develop their interest in the ADR mechanism and choose to become a mediator, negotiation or conciliator. This mechanism will help in spreading awareness about the system of ADR in India. The lawyers recruited for the posts Judicial Magistrate First Class are also not well versed with ADR mechanism, hence they are not able to encourage ADR mechanism themselves. The guidelines by the Supreme Court have been written down for the practice of mediation. But the lack of knowledge and awareness have caused the hindrance to the use of ADR mechanism. Moreover, India also lacks the legal framework as in UK. In UK the first step to resolve the dispute is through ADR, i.e. that the claimant will send a letter to the defendant with a form of ADR the claimant wants to resolve the dispute with, if the dispute is not resolved through ADR then the court during the questionnaire asks the reason for the rejection of the ADR mechanism. This procedure is not followed in India which leads the lawyers to choose litigation over ADR mechanism. The future research should be in a direction that how an ADR system be successfully implemented in India on a large scale. Every district should have a mediation centre related to disputes which can be resolved outside the court. In the events of new cases being accepted by the judiciary the form of ADR should be given as an option and the client should be well informed about this mechanism, so that the client can decide on the alternative means of resolution. Moreover, the pending cases in India should be allowed in between the trial to switch over to the ADR mechanism but for that enough ADR mediation centres, enough mediators are should be there so that the cases can be resolved through a speedy and fair process. In this way the burden on courts can start to reduce but if ADR is not implemented on a large scale then the problem of backlog of cases will continue and if there are not enough mediators, negotiators or conciliators the there will a burden of cases in the ADR system. To reduce the burden on courts in India ADR is the best possible solution if it creates an impact on the large scale and accepts the guidelines as being followed in the UK. 210th Report of PAC (1975-76) (5th Lok Sabha), pp. 133-139; 9th Report of PAC(1977-78) (6th Lok Sabha), pp.201-202. Surjeet Singh & Other v. Harbans Singh & Others, AIR 1996 SC 135: The Supreme Court expressed its anguish for long delay as the case was lying pending in Civil Court of Patiala since 1948 with no sight of its finalization. Clause 7 of the CPC (Amendment) Bill, 1999.